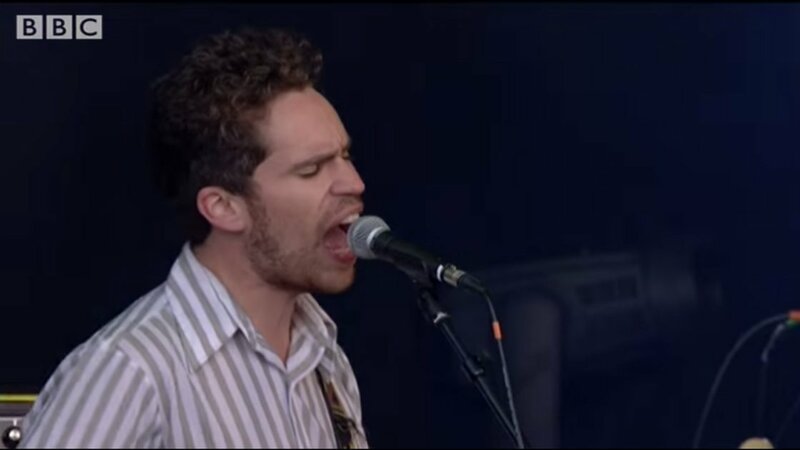 Brookyln-based garage punks Parquet Courts played the Park Stage at Glastonbury on Friday, June 27th. They played songs from their newest record, Sunbathing Animal, released June 3rd on What's Your Rapture? and Rough Trade Records. Watch them play "Black and White" above. With blue and white lights flashing behind them, Parquet Courts played the song with a lot of energy. They jumped around the stage, the guitarist played the guitar above his head, and they got members of the crowd excited. The song features speedy guitar and bass riffs, the instrumentation is tight, and the mood the band creates is fun and lively. You can listen to Sunbathing Animal in its entirety right here on Zumic. The album is available now on iTunes and Amazon. For the latest on Parquet Courts, including news, music and tour dates check out their Zumic artist page.